← Fashion Friday: Stella & Dot Winner! Birmingham Restaurant Week has officially kicked off, offering patrons the chance to try affordable, gourmet meals for a great cause. Twenty popular dining establishments are participating in the two-week restaurant promotion, which runs from January 30 through February 3 and February 6 through February 10. Three-course lunches are $15 and three-course dinners are $30, excluding tax, tip and beverages. This year’s participating restaurants are: 220, Barrio Tacos & Tequila, Big Rock Chop House, Café Via, Cameron’s Steakhouse, Chen Chow Brasserie, Elie’s Mediterranean Cuisine, Fleming’s Prime Steakhouse & Wine Bar, Forest Grill, Luxe Bar & Grill, Mitchell’s Fish Market, Peabody Restaurant, Phoenicia, Salvatore Scallopini, South, Streetside Seafood, Rugby Grille, Toast, Townhouse Bistro and Zazios. The restaurant week promotion aims to raise $10,000 for Forgotten Harvest to provide 50,000 meals for those in need in metro Detroit. The “5 Feeds 25” campaign invites restaurant-goers to make a $5 donation into canisters at participating restaurants from now through February 10. All menus and restaurant contact info can be found online at www.birminghamrestaurantweek.org. Reservations are strongly recommended and should be made through each individual restaurant. The first two hours are free in all Birmingham parking decks. 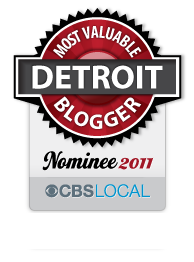 This entry was posted in Detroit, Food, Things To Do and tagged birmingham, charity, detroit, gourmet meals, promotions, restaurant week. Bookmark the permalink.